William has a simple job: he makes dead bodies disappear. 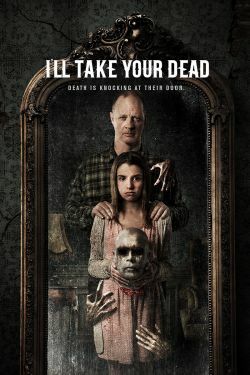 His daughter Gloria, who has become used to rough-looking men dropping off corpses, becomes convinced that some of them are haunting their house. William has a simple job: he makes dead bodies disappear. This isn’t something he likes to or even wants to do, but through circumstances out of his control, his little farm house in the country has become a dumping ground for the casualties of the gang related murders in the nearby city. His daughter Gloria has become used to rough looking men dropping off corpses and is even convinced that some of them are haunting their house. After a woman’s body, is dumped at the house, William begins his meticulous process when he realizes, she’s not actually dead. As the gang activity increases, William patches the woman up and holds her against her will until he can figure out what to do with her. As they begin to develop a very unusual respect for each other, the woman’s murderers get word that she’s still alive and make plan to go finish what they started.